Item # 312410 Stash Points: 5,495 (?) This is the number of points you get in The Zumiez Stash for purchasing this item. Stash points are redeemable for exclusive rewards only available to Zumiez Stash members. To redeem your points check out the rewards catalog on thestash.zumiez.com. 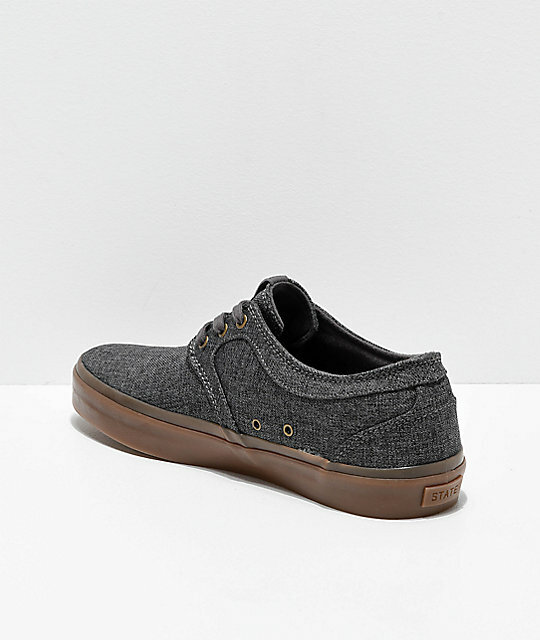 As one of State Footwear's staples among their long line of classic, yet skate focused sneakers, the Bishop Skate Shoe returns this season in a dark grey chambray and gum outfit. Embodying an aesthetic similar to cozy moccasins, this Bishop silhouette has a warm personality. 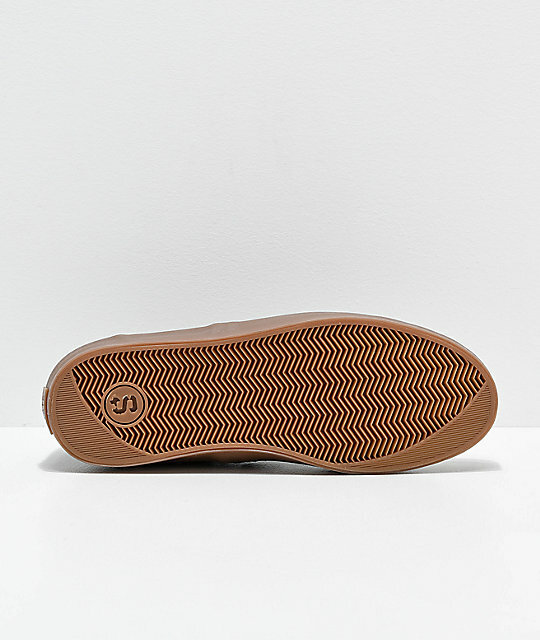 Designed for skateboarding functionality, the Bishop has been equipped with State's signature Duraflick technology, a thin perforated rubber layer underneath the upper that provides exceptional durability. Clean-cut and easy to wear on and off the board, the Bishop is a must have. 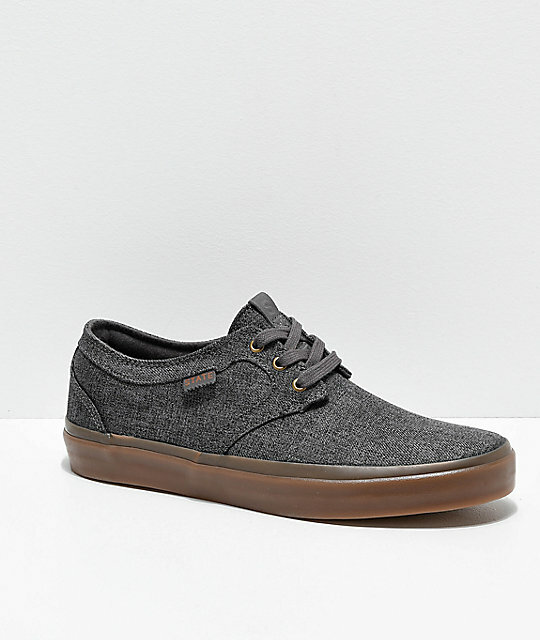 Bishop Dark Grey Chambray and Gum Skate Shoes by State. 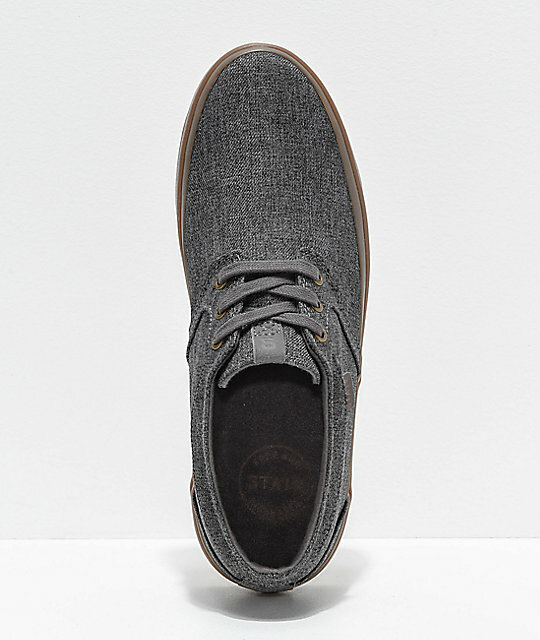 Soft chambray textile upper with double stitching throughout. Gum rubber herringbone tread pattern with State's HT Drag rubber, extra rubber around the toes and heel for drag stops. Internal elastic tongue gussets for snug fit.